Dozens of Pakistanis are on death row, convicted of having insulted Islam's prophet, a charge that carries a mandatory death sentence, although no executions have been carried out. 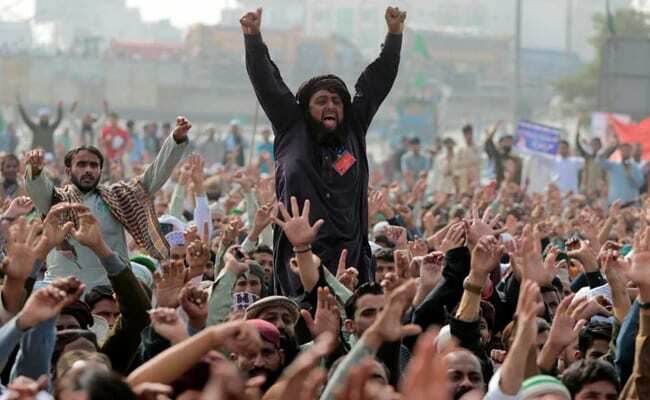 Rawalpindi: Pakistan on Friday blocked off roads into Islamabad, the capital, as an Islamist party that backs strict blasphemy laws staged a sit-in on a key highway, demanding the resignation of a minister it blames for changes to an electoral oath. More than 500 supporters of the Tehrik-e-Labaik Pakistan party, or Movement of the Prophet's Followers, chanted slogans as speakers addressed them from atop a cargo truck, pledging their lives to protect Pakistan's blasphemy laws. The protesters demanded the resignation of Law Minister Zahid Hamid, whom they hold responsible for the law change, and denounced him as a blasphemer. "Immediately appear before us and beg for forgiveness," said one speaker. Two high court lawyers who joined the sit-in said they would work to advance Labaik's agenda in the courts. "He (Hamid) has insulted the blasphemy laws, the punishment for which is death," said one of the lawyers. Pakistan's interior ministry did not immediately answer telephone calls from Reuters to seek comment. The ruling Pakistani Muslim League-Nawaz (PML-N) unexpectedly set off a firestorm last month after voting through the alteration of the oath, among seemingly small changes to the nation's electoral law. The changes prompted accusations of blasphemy from religious parties and the government retreated, apologising in parliament for what it called a "clerical" mistake. But the apology did not satisfy Tehreek-e-Labaik, triggering the sit-in, as the culmination of a march of nearly 400 km (249 miles) from the eastern city of Lahore. The party rose to prominence in September, after placing third in a by-election in Lahore, edging out a major opposition party to pick up 6 percent of the vote. Last month, it gained nearly 8 percent in a by-election in the northwestern city of Peshawar. 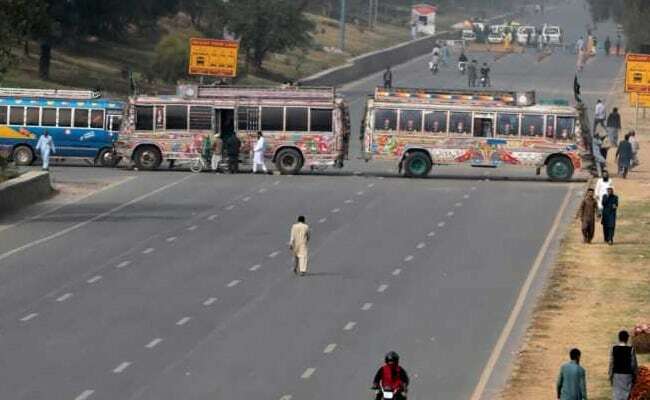 While Tehrik-e-Labaik is unlikely to break out of single digits in coming votes, its rapid rise could present a challenge for the PML-N.
On a bridge overlooking the highway demonstration site, drivers of trucks halted by blockades erected by city authorities complained about cargo delivery delays. One commuter unable to take public transport to work told Reuters his business had suffered. "I run a tailoring shop and can't go to work today," said Mohammad Altaf. "I have lost a day's earnings."